For many decades Mercedes-Benz took a conservative approach with its E-Class, aiming it at buyers who were middle-aged and above. The W212 was facelifted in August 2013, receiving a large three-dimension grille centred around the iconic three-pointed star. Inside it retained the same overall design, but upgrading of materials increase the feeling of luxury. Mercedes-Benz W213 E-Class arrived here in August 2016. It’s still relatively rare on the used car scene but we expect quite a few to come on sales as two-year leases expire. 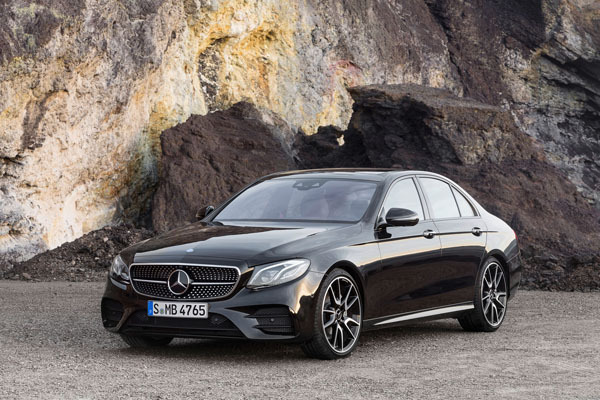 New E-Class is longer than the W212, with increased wheelbase and track. It’s marginally lower and narrower. There’s increased legroom in the rear seat, though boot volume remained the same. The dash was a totally new design with a glass screen running two thirds of the way across and displaying multiple modes. There are two separate areas, one directly in front of the driver containing the major instruments which can be set up in different ways. The other contains the satellite navigation maps and Mercedes Comand displays. Note that the above dates are for the sedan versions of these Benzes, other body types generally arrived four to twelve months later. Avantgarde Mercedes models lean in the direction of sportiness, while Elegance refers to just that, ‘elegance’, in the direction of traditional Mercs. All of these Benzes have a reassuringly solid feel due to their strongly engineered bodies, making for low levels of noise, vibration and harshness. These Mercs are better than average in their class on rough Australian bush roads and have long been popular with farmers. They make excellent motorway cruisers as they are designed for high-speed German autobahns. Body choices in the E-Class are many and varied: four-door sedan, five-door wagon, two-door cabriolet/convertible and two-door coupe. Sedans are still in the majority but coupes and cabriolets are becoming increasingly popular. Sedans and wagons have good passenger space, though legroom in the rear seat can be on the tight side if the front seats are set well back. While the coupe can carry four adults they need to do a fair bit of compromising on space. Cabriolets are even tighter in the back. Engine choices are numerous: four, six or eight cylinders fuelled by petrol or diesel. Turbo-petrol engines have become increasingly the norm in European cars over the past few years and Mercedes is one of the leaders in this field. Automatic transmissions ranged from five- to nine- speed units in the period being discussed here. The more ratios the better in some ways, but honestly even the old autos are probably all you need in speed-limit restricted Australia. 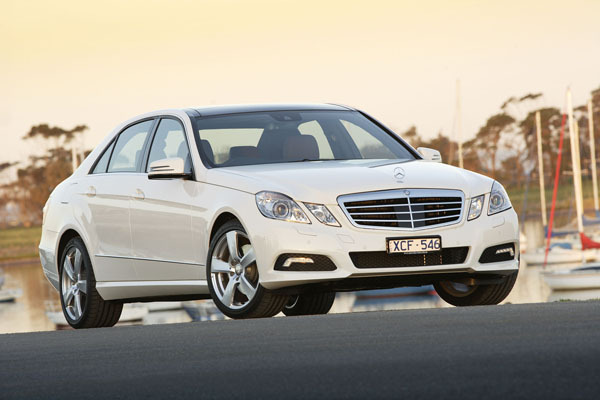 Many E-Class cars will always have been serviced by authorised Mercedes dealers and this adds to their resale value. Check the logbook and if the car was been continuously serviced this way and it may be worthwhile to spend the extra dollars to keep it a ‘pure’ Mercedes-Benz. Many non-authorised Mercedes repairers are operated by qualified Mercedes mechanics who have set up their own business. They may not have the same access to the latest updates on the cars from Mercedes’ head office. 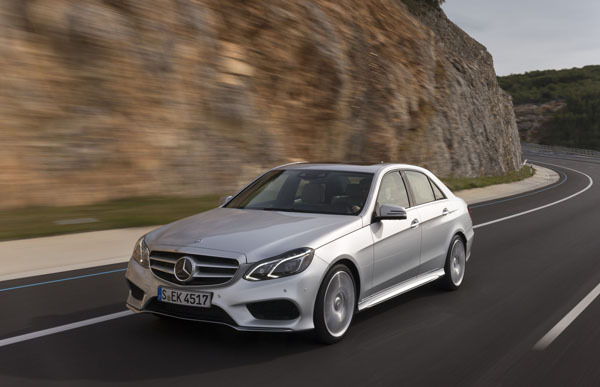 Insurance is generally moderately priced because the E-Class, despite going more stylish recent times, still tend to appeal to relatively conservative buyers. Do your own initial checks to find any obvious mistakes but call for a professional inspection afterwards. Look over the interior for signs of rough usage; kids can sometimes do terrible things to cars and show no respect for upmarket ones. Check for indications of previous crash repairs. If these appear to have been extensive, have a full inspection done by a panel shop that specialises in upmarket cars, or by your motoring association. Arrange to start the engine when it’s stone cold, ideally after an overnight stop. It should kick over almost instantly and immediately settle into a smooth idle. Diesels will be slightly slower than petrols to light up but only by a couple of seconds. Some older-design turbo-diesels are rather noisy when listened to from outside, but moderately quite inside. If you think one is to bad it might be an idea to move to another car. Check the automatic transmission engages gear promptly from Neutral or Park and that it shifts are virtually imperceptibly. Some harshness is permissible in full-throttle changes but not at other times. Prestige cars that have belonged to social climbers who have overextended their finances may not have been serviced correctly.